The replaceable pad swivels to allow for self-alignment on uneven surfaces. 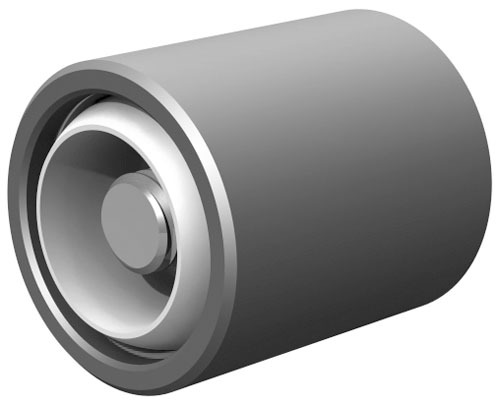 Cylindrical body allows for installation in tight areas. The housing is tapped for backside fastening. The replaceable pad fits in a hardened (Rc 58/60) 440c stainless ball cup and is held in place with a lock screw. The pad can be replaced when worn or a different style pad is required. The housing is made from alloy steel, heat treated to Rc 43/46 with black oxide finish. The parts below are for the Swivot assembly only and do not include a pad. Pads must be ordered separately. * F1 - Stand off with 3/8 height pad; F2 - Stand off with 1/2 height pad. ** Select any fixed gripper or rest pad with the proper diameter and tapped hole.